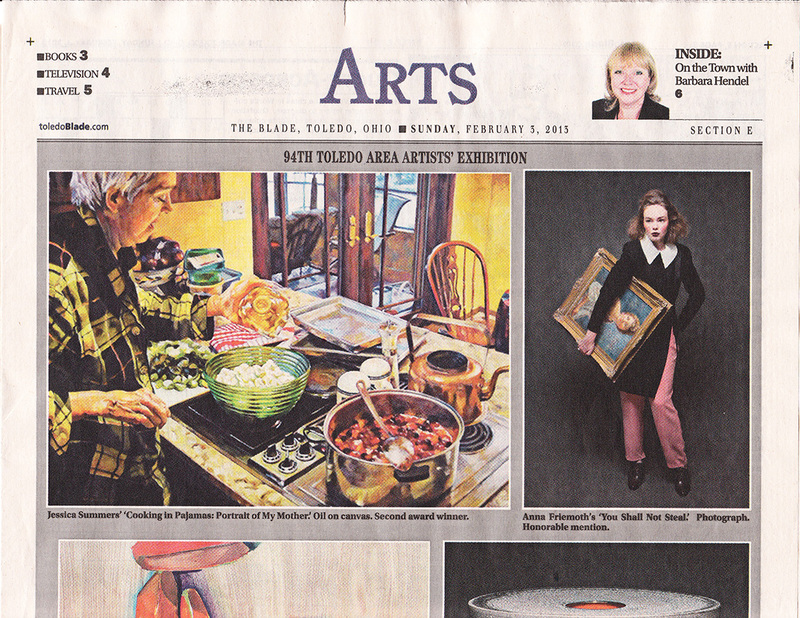 This past Wednesday, Toledo City Paper ran the following article that I wrote about why it’s important to keep the Toledo Area Artists Exhibition for Toledo area artists. The Toledo Area Artists Exhibition is the oldest regional art competition affiliated with a museum in the United States. It gives the art community a great sense of pride to compete and get into the prestigious museum show, featuring and celebrating the talents of Northwest Ohio and Southeast Michigan. It’s 95 years old. This year, only 11 Toledo area artists are in it! So are 17 artists from cities far away from Toledo, such as Akron, Cleveland, Columbus, Grand Rapids, MI, and even Muncie Indiana. These cities have their own thriving art communities. The show is not a true area artists show this year and has no right to the name. It’s important to keep our local traditions for the same reason that it’s important to drink clean water. If that doesn’t make sense, then here are just three examples, out of hundreds, to show why the Toledo Area Artists Exhibition is important and relevant to our own local and regional art community — Edith Franklin, Leslie Adams, and Anna Friemoth. 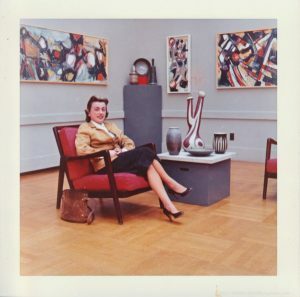 Where would Edith Franklin be in our hearts if it wasn’t for the Toledo Museum of Art? We may have known her, but not nearly as well. She attended the children’s classes at the Museum from about age 10, so for 80 years, the museum contributed greatly to her life, and she in turn contributed greatly to the museum. In addition to the Saturday children’s classes, she continued her education at the Toledo Museum of Art School of Design for another 40 years, from 1945-1986. 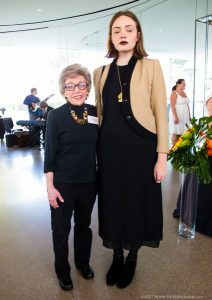 She took part in the historic Glass Workshop in 1962, participating in the very beginnings of the American Studio Glass Movement, and she even walked the runway in the 50th anniversary, 2012 Glass Fashion Show, just two months before she died. 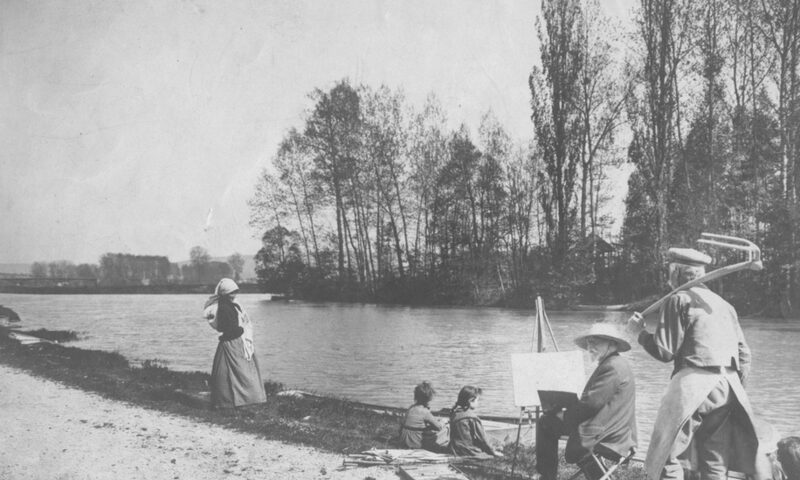 The Toledo Museum of Art gave Edith Franklin a one-person show when she was 35. 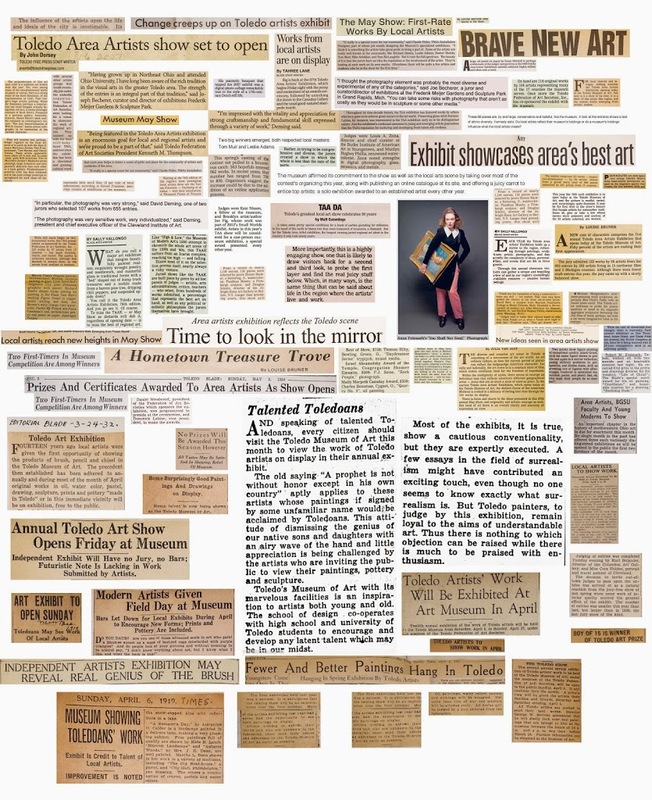 As for the Toledo Area Artists Exhibition, Edith Franklin was in 26 out of 29 consecutive shows from 1953 to 1982, winning First Award, Craft Club Award, and the Federation Purchase Award. 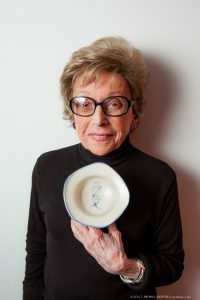 She was a founder of the Toledo Potters Guild in 1951, board member of the Arts Commission, and earned the Lifetime Achievement Award from the Toledo Federation of Art Societies in 1999. She passed away in August 2012, having donated the Edith Franklin Pottery Scholarship to young potters, among other philanthropies. Brian Kennedy, Director of the Museum, gave a eulogy at her memorial service. He said she would often tell him that she was from Toledo, born and bred. Edith Franklin cared about her legacy. I helped her organize her papers that she donated to the Ward M. Canaday Center for Special Collections. She rewarded me well with a special pottery piece. 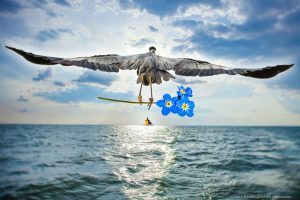 Then there’s my daughter, Anna Friemoth, a 2012 graduate of Maryland Institute College of Art in Photography, who entered the 94thToledo Area Artists Exhibition last year and won a prize. Her piece was sold at the TAA preview show. It also appeared in the Blade. Peter and Paula Brown called her the day it was in the Blade and invited her to have a one-person show in their gallery, the Paula Brown Gallery, in downtown Toledo. The Browns bought the photo at the preview show. 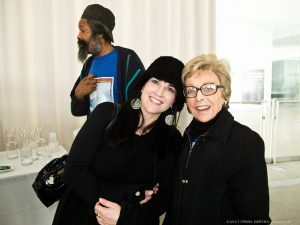 Anna’s one-person show at the Paula Brown Gallery was a commercial success and Anna was able to launch her career. It was an amazing opportunity for Anna to be in the Toledo Area Artists Exhibition. She gained much great career advantage because of the success she obtained as a result of being in the TAA show. 39 Toledo area women were in that TAA show, which was just last year; this year’s show has only TWO Toledo area women. The opportunity my daughter had is what all artists in our community need and deserve. We have a very large art community – in addition to dozens of clubs and ateliers, there are at least 10 colleges and universities in our 17-county region of Northwest Ohio and Southeast Michigan that teach art. What are artists to do when they graduate? Toledo Museum of Art has cut them out of this 95-year old prestigious museum show, a show that was meant for them and takes place in their own community. The show is called Toledo Area Artists Exhibition for a reason. It’s because the show is for Toledo area artists, to help them show their work. That’s why it was started, in 1917, and that’s what it has done for 95 years. The Toledo Museum of Art helps artists to be better artists by giving prominent local artists solo-shows and by hosting the 95-year-old annual juried area artists show. In return, Toledo area artists contribute to the continuum that is Toledo’s distinctive local cultural history, that is us and can only be us. In return, yet again, that makes our region better for everybody living here. This is where we live, these are our cultural, our genetic and our geographic connections, and they are as important to us as that big great lake, Lake Erie, from which we have to drink our water every day.